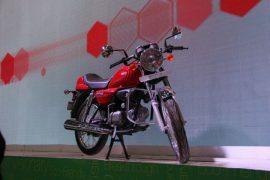 Hero MotoCorp has been launched the Hero Splendor Pro Classic without much fanfare across India. 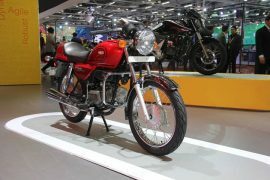 The Splendor Pro Classic is based on the popular Splendor commuter motorcycle but features cafe racer styling. 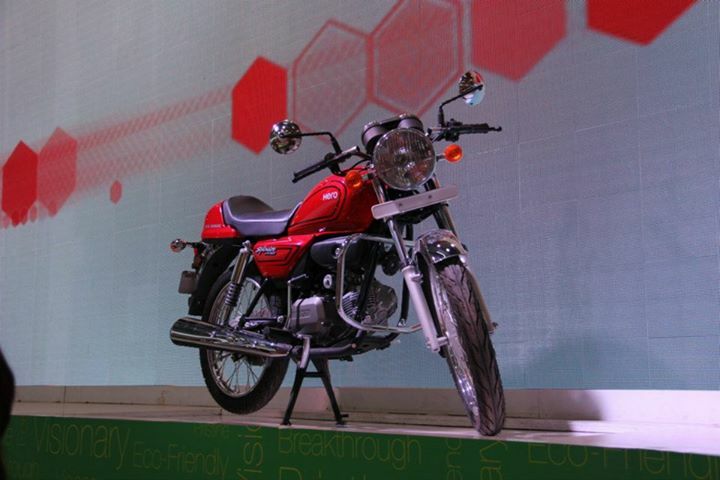 The bike was first shown at the 2014 Indian Auto Expo and drew garnered quite a bit of interest from visitors. 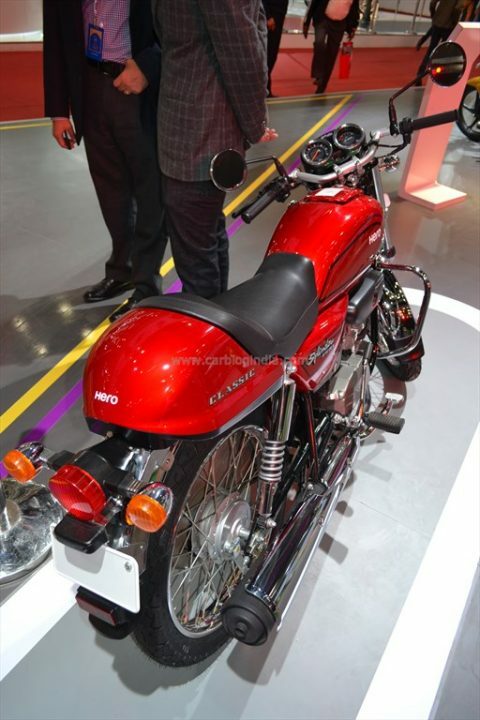 We had earlier reported that Hero would launch this bike and the Xtreme Sports in September 2014. The Hero Splendor Pro Classic is priced at Rs. 48,650 ex-showroom Delhi. This is Rs. 1000 more than the Splendor+ and almost the same as the Splendor Pro. 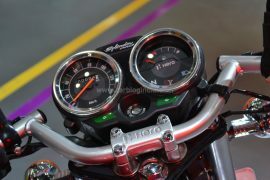 The Hero Splendor Pro Classic features many design elements that define what a cafe racer is. It gets circular headlamp, chrome mirror housing and stalks, mudguards, exhaust cover, spoke-wheels, a humped rear and simple rear-lights. A fatter rear tyre would have helped tremendously with the styling, but it is the way it is for fuel-efficiency. 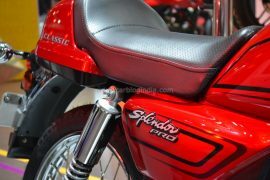 The stylist handlebars and two-pod instrument cluster also gives the Spledor Pro Classic a different look. 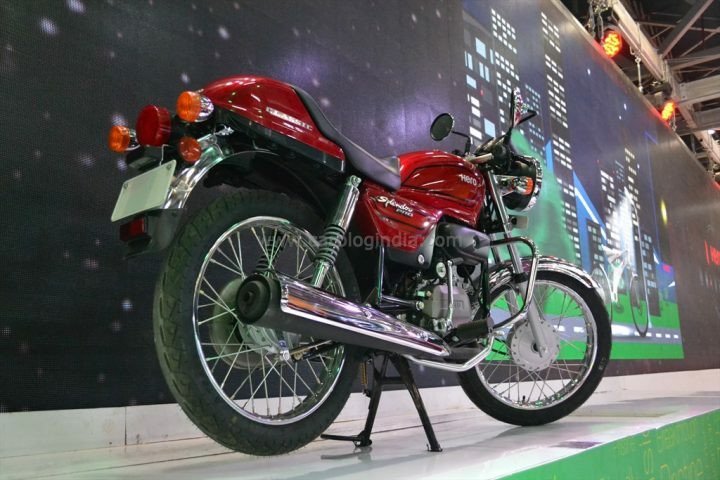 The Splendor Pro Classics underpinnings remain the same as the other Splendor variants as far as the chassis, suspension, tyres etc. the engine has been tuned for a higher output. This means that it is powered by the familiar 97.2-cc engine, but it produces 8.25 BHP @ 7500 RPM (as compared to the regular Splendors’ 7.7 BHP @ 7000 RPM) and 8.05 Nm @ 5000 RPM (as compared to 8.04 Nm @ 4500 RPM of the regular bike) coupled to a 4-speed transmission. Looks like the Splendor Pro Classic will be better in terms of performance than the regular model, but not by much. The official launch is expected to be announced soon. Stay tuned.